He's a player with plenty of offensive punch, but posting points isn't what Nathan Gerbe's most proud of when it comes to his game. There's no doubt that Gerbe, in his first full NHL season, is a capable point-producing forward. Seeing his No. 42 on the scoresheet, he admits, is nice, but keeping the opposition off it, he insists, is equally gratifying. The beginning of Gerbe's season, at least offensively speaking, was not what he had envisioned. Gerbe, the man who scored five goals in the final two games of the NCAA 2008 Frozen Four tournament, the one who led his team to the championship, and was named the tournament's most outstanding player, went goalless in his first 20 games. The Sabres struggled, too, leaving them plenty of work to do to get into the Eastern Conference playoff hunt. At the completion of the regular season, the Michigan native had 16 goals and 31 points in 64 games. It was his performance against the Philadelphia Flyers in early April that defined Gerbe's second half surge. Gerbe scored twice and Tomas Vanek netted the overtime winner as Buffalo downed the Flyers 4-3 at HSBC Arena, helping secure a post-season berth for the Sabres. But it wasn't just that Gerbe potted a pair of tallies, it was how he accomplished the feat. Trailing 3-2, Gerbe skated down the right wing and stopped inside the right circle. He then lifted a spinning backhander that found its way through traffic and just under the crossbar to knot the game. Gerbe is also quick to point out the efforts of his Buffalo teammates. When Ryan Miler, one of the game's most high-profile goaltenders, went down to injury, his backup, Jhonas Enroth, provided the Sabres with stellar play between the pipes. Sometimes, though, it's impossible for Gerbe to escape his reputation as a scorer. On January 21, 2011, he scored two goals in five seconds against the New York Islanders, setting a franchise record for the fastest two goals by one player. Was he excited at the prospect of getting Rick Jeanneret, the Sabres' energetic longtime television and radio play-by-play announcer, out of his seat twice in rapid succession? 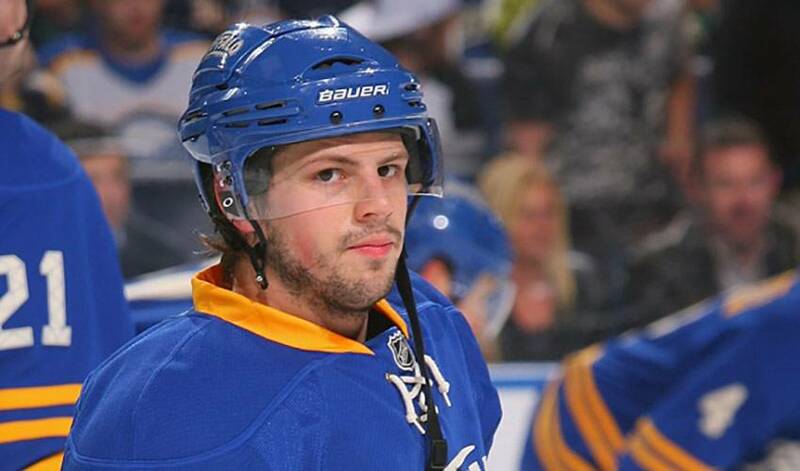 “I was just trying to catch him off guard,” laughed Gerbe. Now, Gerbe will be looking for some more offensive magic, as well as providing tight defence, against the Flyers in their first-round playoff encounter. He's also looking forward to seeing the Buffalo faithful on their feet during their series. And in Gerbe's case, they don't mind the odd highlight of the night, either.